I have bought 2 preview licenses for Odysseus. Hope we shall not be disappointed. Fingers crossed. Your writing about of course did much. To become a complete success with me, Odysseus must allow me to send basic HTML formatted mail, such as at least the Windows version allowed users to do. Because I need to send formatted mail ever so seldomly. Only something basic, as a way to highlight small bits in the text now and then (mostly my wife who needs it). In case you hadn't heard, Infinity Data Systems posted the first public beta of Odysseus on Monday. You can download it and check it out, although IDS strongly emphasizes that it is at this stage for testing only and should not be used for anything mission critical. For my first impressions of Odysseus 0.8.2, see Odysseus 0.8.2 Eudora-Style Email Client - First Look on Applelinks. I loved this article [Low End Mac's Compleat Guide to Mac OS 9, 2008 Edition]! Great work. Mac OS 9 is still a very nice operating system, and it sure is a shame that there are no good browsers. Although on my Graphite 'Paris' iBook, I use iCab. It's a little slow, but at least better than IE. Thanks for the kind words. Glad you liked the column. 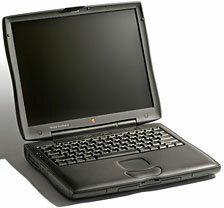 I recently picked up a PowerBook 1400cs/133 at a small flea market for $15. The machine looks like it's in superb condition physically, except for the CD-ROM drive, where the front cover was snapped off, but the drive itself still works. At first, it felt slow, until I opened "About this Mac" in Mac OS 8.0 to find 16 MB of RAM . . . and . . . WTF?!? 576 MB of virtual RAM? After I corrected that, the machine feels fast, but I feel it could do better. I'm looking for RAM for the machine but can't find anywhere that carries it. 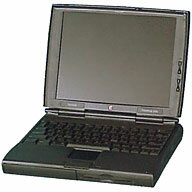 Do you know of any sites that sell PowerBook 1400 RAM? Second, I bought it with the intention of being a cheap replacement for my broken Toshiba notebook, which has a cracked LCD. I wanted something portable, so I jumped at the chance when I saw this machine. However, the battery doesn't hold a charge. I tried using the battery conditioner program, but it made the machine shut off . . . normal, I thought . . . and then it started making this chainsaw/lawnmower like noise, which scared me and made me unplug it. Do you know where I can purchase a battery for it? Last question, almost every time I go through a menu or scroll in the Finder, I hear the machine make a clicking noise. It sounds like it's coming from the battery, but the noise is present without the battery. I doubt it's the hard drive, since it working perfectly. Do you have any idea what that may be? Thanks for the help. Congrats on the PowerBook 1400 purchase. Nice little machine with a great keyboard and tough as nails. Real RAM is much faster than virtual memory, especially with a slow hard drive and bottleneck system bus, both of which obtain in this case. Wegener Media sells both RAM and batteries for the PowerBook 1400, and so does The PowerBook Guy. My best guess: the clicking sound when scrolling is probably the hard drive and probably doesn't indicate anything serious amiss. Thanks for the recommendation as far as RAM and batteries! As far as the keyboard and build quality, it feels the most durable of any laptop I've used, and the keyboard is better than any desktop keyboard I've used, including them $100 "high-performance" keyboards seen on gaming rigs in computer stores. However, a thought hit me today, how do I get files I type up on it off the computer? 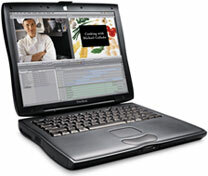 I can put files onto it by making binhexes out of them on my Bondi blue iMac, and then burn them to CD on my Windows computer, but I have no way of getting files from the PowerBook to another machine. I have no external SCSI drives. I tried using the IR with my iMac, but I found out that the iMac and PowerBook, while both IR, speak different languages (AppleTalk over IR on the PowerBook, IrDA on the iMac). Is there a way I can make them start working well with each other? I know I can pick up a floppy drive module, but I was wondering if I can do anything about it in its current state? Thank you. IMHO the PowerBook 1400 keyboard is second only to the keyboard in the WallStreet and Lombard/Pismo G3 Series 'Books, but I know some people consider the 1400 'board best of all. File transfers are tricky from these oldies to modern computers. For smallish transfers, I routinely used email when I was running a 1400 as my drafting and editing 'Book. Another option is to upload stuff to an online storage site and then download it with the destination computer. Using floppies to transfer files to a USB or FireWire-equipped machine with a floppy drive will work. I have a SCSI Zip drive and a Zip expansion bay module for my Pismos, so that's another option for me as well. A SCSI CD burner would work as well. I won't say it's impossible to get the two IR configurations talking to each other, but I'm skeptical. I enjoy your work on Low End Mac immensely. In your 5-07 column, you said you have batteries from FastMac and also the NuPower ones as well. Which one have you had the best experience with, and which gives you the most life? I've never ordered from FastMac, but I'm a frequent flyer at OWC. If you're pleased with the service you've been getting from OWC, no reason not to keep flying with them for your battery needs. I've had excellent service from them for RAM, hard drives, and the extended life battery for the Pismo, which has given flawless service for about 28 months now. The FastMac batteries have been good too, but I haven't noticed any radical difference in runtime with either brand. They both provide substantially longer charge life than the OEM batteries. In response to Pismo Battery Problems, I wanted to mention that I used a website www.batteryrefill.com about two years ago to re-cell a laptop battery, and they did a great job. You send your battery to them, and they take it apart and replace the cells in the battery with brand new ones. My "new" battery has been going strong ever since. In case you might want to pass this on to Leo LeBron. Have sent the info to Leo. I always enjoy reading your articles on LEM. In fact, there have been many many tips over the years that I have applied directly. I am a proud double WallStreet owner. One was a gift, and the other was purchased on eBay as a teaching laptop (PowerPoint). It came wrapped in a $125 new sweater. I emailed the sender, and he said he broke up with his girlfriend - and the sweater was her gift to him. Wow, a laptop for $30 and a sweater. I wanted to alert you to a problem with your story: the company Wegener does not furnish Avanti upgrades anymore (they cannot apparently get the chips any longer). Anyway, the cards are sometimes on eBay, and usually they cannot boot into one or the other OS (10.2 or 9.x). Thanks for the heads-up on the Avanti availability. I did check the link but must have not scrolled down the page far enough. I've sent a request to Dan Knight, Low End Mac's publisher, to excise the erroneous information from the article. As for the specific matter of installing OS X on a WallStreet, my own experience was a complete, multi-inning strikeout with my stock (non-processor upgrade) 233 MHz WallStreet. I was never successful in getting to first base on that machine with any OS X installer, although Yellow Dog Linux and SuSe Linux installed just fine. I eventually gave up trying, as I figured that since I was dissatisfied with Jaguar's performance on a 500 MHz G3 Pismo, I wasn't likely to find it acceptable on a 233 MHz G3! It's lively in OS 9.2.2. Anyway, while I can't say what the issue is with your WallStreet, based on my experience it might not necessarily be related to the Allegro upgrade.